Below you can see all stormtracks for each decade since 1851 for Vieques. Note that the most recent 'decade' (2010) only consists of 1 year. All storms since 1851 in one image [colored spaghetti] can be found elsewhere. 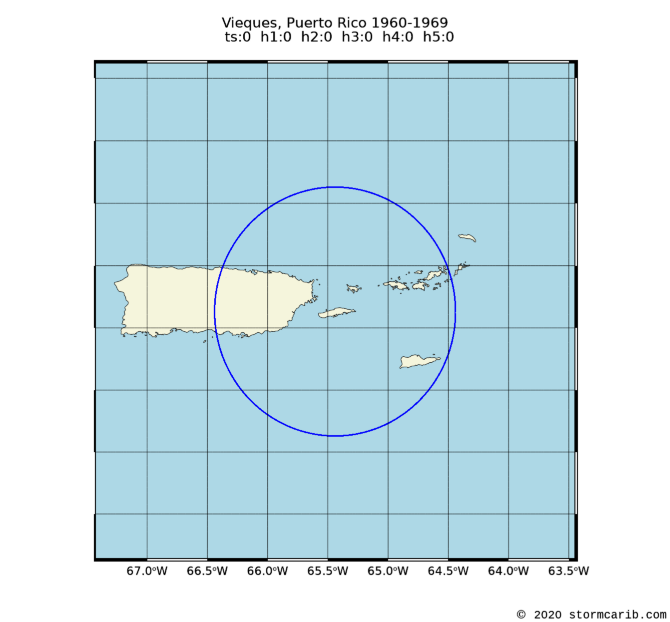 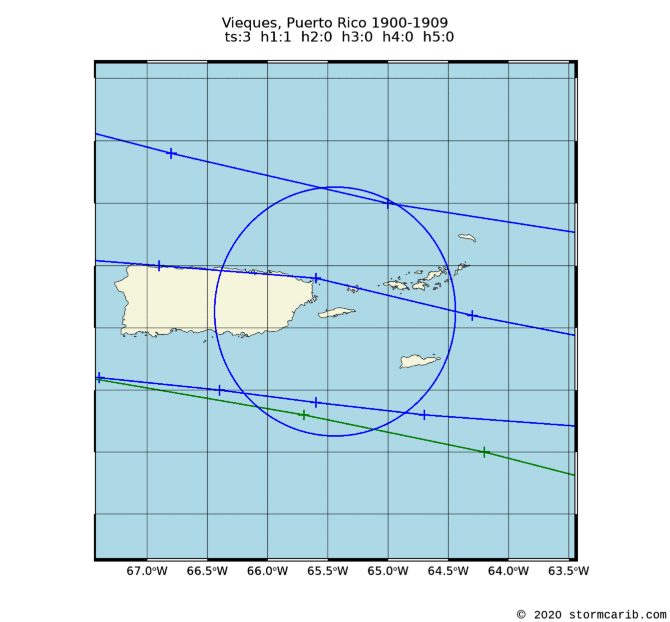 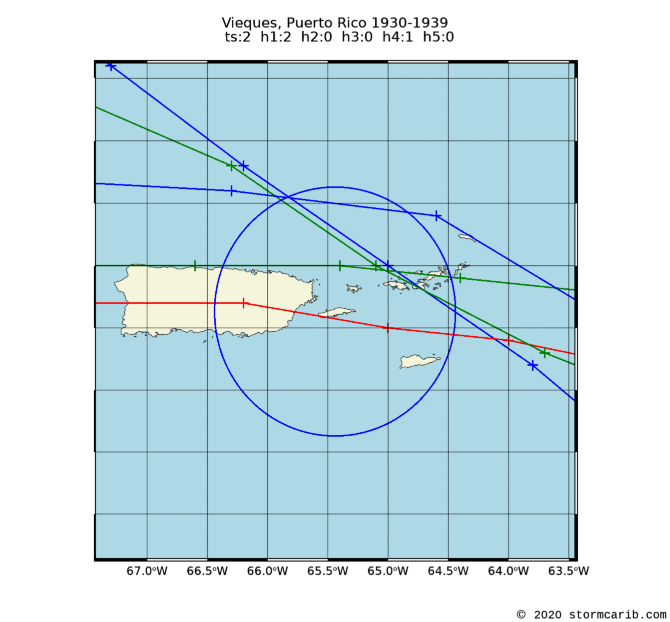 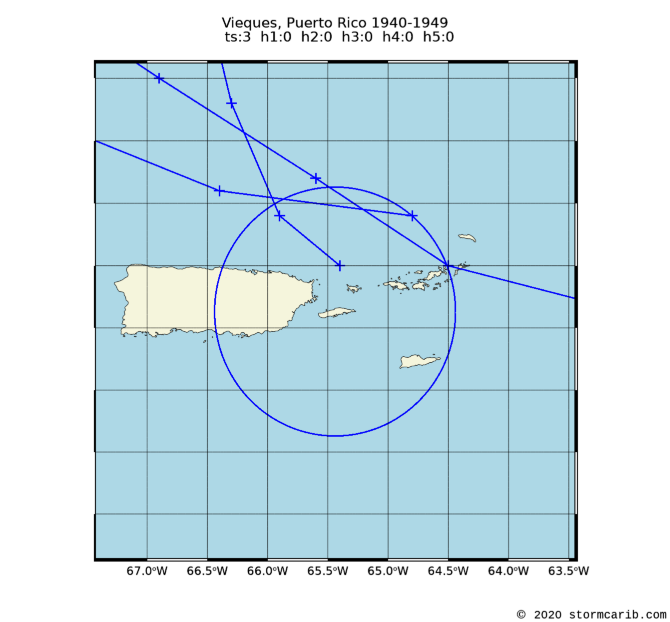 In the climatology section there is also a weekly analysis of the data which shows when the real peak of hurricane season is for Vieques and a five-year analysis to find out if more storms have passed close by Vieques recently.